Wo-Jo's Construction is dedicated to bringing quality construction to your home, office and/or business. We pride ourselves on dependability, punctuality, and the highest quaility of workmanship. At WoJo's we won't leave until the client is happy. 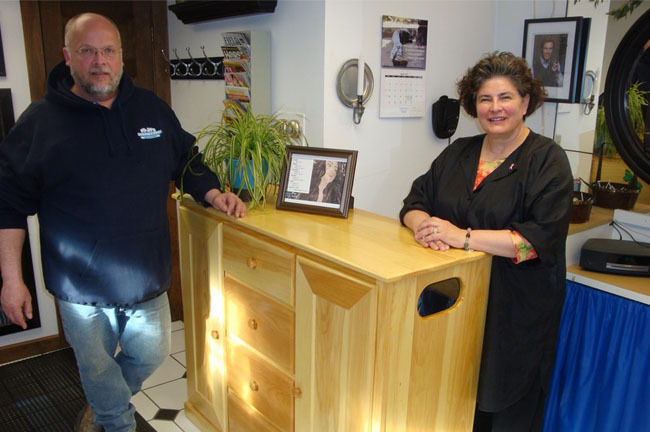 Wo-Jo’s Construction is owned and operated by Beth and Dave Wojnas. Both Beth and Dave believe that there are three important guidelines to owning and operating a business: • Dependability • Quality Workmanship • Punctuality Wo-Jo’s Construction also recognizes the importance of remaining environmentally conscious, so we focus on using green materials and techniques. At Wo-Jo’s we are confident that we can do the job you want. That is why we offer free estimates. Call 508-341-3285 today for yours.